When Silvia Aguilar and her oldest son, Michael, were baptized during the September all-church baptism celebration, it was an important day for Silvia and her family. This exuberant new believer was publicly affirming by her baptism that she had placed her faith in Jesus Christ as her Savior and Lord. Her baptism was also an occasion of great significance for Puente del Pueblo, our outreach to the people who live in the Timber Lake (formerly Westwood) apartments. That Saturday evening, Puente Director Matthew McNiel and Case Manager Irene Owens were seeing the tangible spiritual fruit of that ministry. They were witnessing the first baptism of one who had come to faith in Christ as a result of Puente’s outreach in the community! Irene clearly recalls her first contact with Silvia, shortly after Puente opened its doors three years ago. Silvia and her husband, Heriberto, concerned that they wouldn’t be able to make their next rent payment, applied for assistance from Puente’s Case Management program. 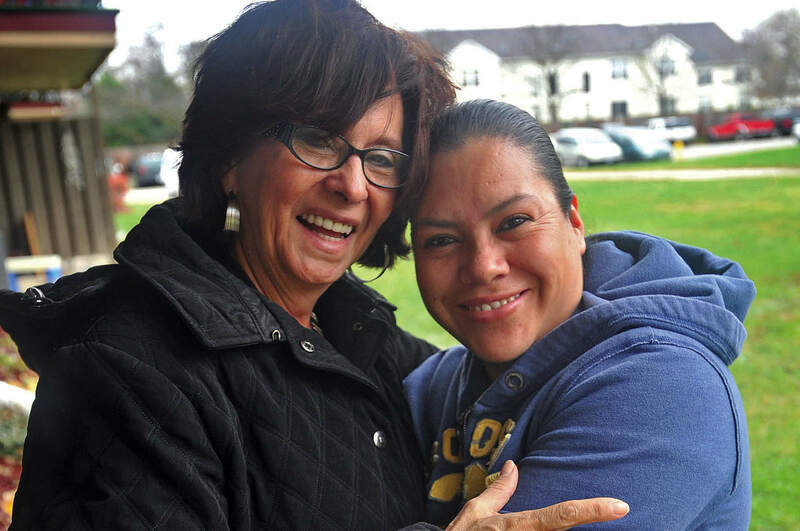 Just a few days after the initial interview/assessment, the couple was able to handle the rent themselves and didn’t need the help—but an important connection had begun between Silvia and Irene. As Irene does with all her case-management clients, she invited Silvia to church during one of their first conversations. She followed up that invitation when she ran into Silvia a few weeks later, and shortly after the second invitation, not only did Silvia and her children begin attending Iglesia del Pueblo but they were often accompanied by a sister-in-law and her children as well. Over the next two years, Silvia was faithful in attending services at Iglesia, but Irene wasn’t sure where Silvia stood in her relationship with Jesus Christ. “She surprised me,” Irene says, “by really opening up her heart. She told me that during a service a few weeks before, Jesus had opened her eyes to see herself and her condition. She had seen her misery and her need of God. “That Sunday morning, Silvia had accepted Jesus Christ as her Savior—seated right in the pew,” Irene recounts. “Right away she began to have an unbelievable strong thirst to hear the preaching of God’s Word, so much so that she wanted everyone to be completely quiet, sitting still, and listening—not even getting up to go to the restroom. “As she told me about her decision to accept Christ, she also began to tell me about her life—a very hard life, as a orphan surrounded by violence and trauma. But her encounter with Jesus was healing her heart and giving her a new perspective on life. As one who has become a close friend to Silvia, Irene has personally witnessed how her life has been transformed in every way. Her attitude toward a once-troubled marriage has changed completely, and Silvia has also expressed a strong desire to be used by God. 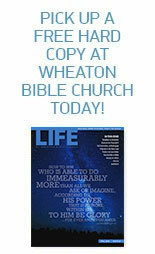 She has become an active witness—what Irene describes as an “evangelist,” speaking freely with coworkers about Jesus. When Irene brought up the subject of baptism in their conversation one day, Silvia immediately said yes, she was ready to take that step. Silvia’s baptism was deeply meaningful for her, which was apparent to all who were there to hear her responses to the questions of Iglesia’s Community Life Pastor Juan Marcos Gomez just before she was baptized. 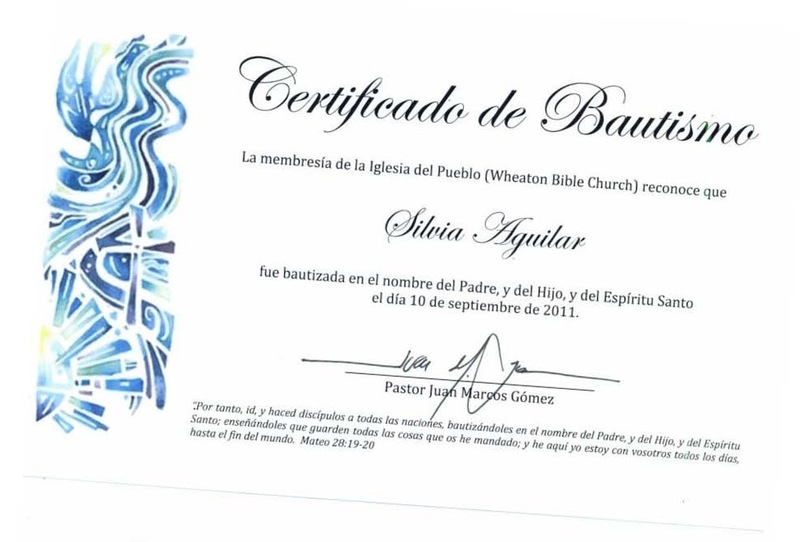 For Puente del Pueblo, Silvia’s baptism and her family’s growing involvement with Puente’s ministry are affirmations of God’s call to serve as the “Bridge of the People,” connecting the church and Timberlake’s richly diverse community. 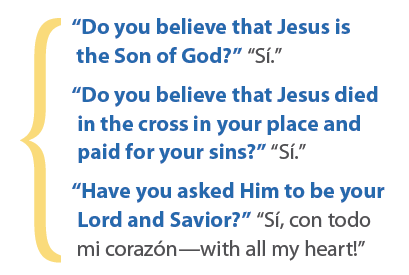 Asked how she begins a spiritual conversation in a case-management setting, Irene explains, “I’m always assuming that Puente del Pueblo is part of God’s house, and so I am compelled to invite these new acquaintances to meet the Owner of the house. “Especially when someone is coming to us with a financial-assistance request or for help with their budgeting, we see—with the eyes God gives to us—that the economic need is something temporary. But what the people truly need is to know Jesus. We can help them solve their immediate problem by handing over a check, but their bigger, more significant problems, particularly the problem with their relationship with God, continues. This entry was posted on December 20, 2011 by Wheaton Bible Church in Winter 2011/2012 and tagged baptism, bautismo, firstfruits, Heriberto, iglesia del pueblo, Irene Owens, matthew mcneil, puente del pueblo, Silvia, transformation, unity.